Every so often a beauty gadget comes along and makes you wonder..."Does that really work?". Vera Mona came out with the Color Switch Single and then the Duo and then the Proband. I had been going back and forth on whether to buy it or not. Then the Proband came out and it had to be done. If you haven't heard of this, it basically cleans the shadow off of your brushes when creating a look. Yes, with this you don't need 6 brushes for one smokey eye. This product was created so an artist could switch colors without needing to dirty another brush. 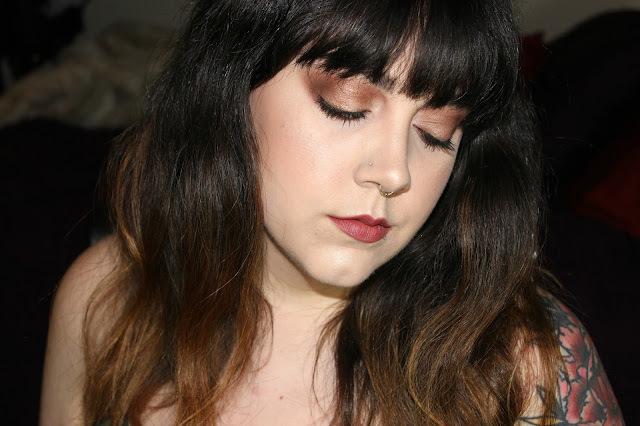 I decided to use my new Melt Cosmetics Dark Matter Stack (blog post/review on that here. )because of the insane pigmentation, to really put this to the test. I coated my brush in a fair amount of black, as you can see above. I swiped some of the shadow on the back of my hand and then swirled away on the color switch. Back and forth, round and round. It was back to, almost being, perfectly clean. I could run it on my skin and the black was gone. This band was made for the Pro, to keep hands free. It has two sides and a place to hold your brushes. To clean I just wipe with a damp rag and I like to spritz it with a touch of 91% Alcohol to sanitize. Included is a duo ended brush that's quite nice and retails alone for $9.99. 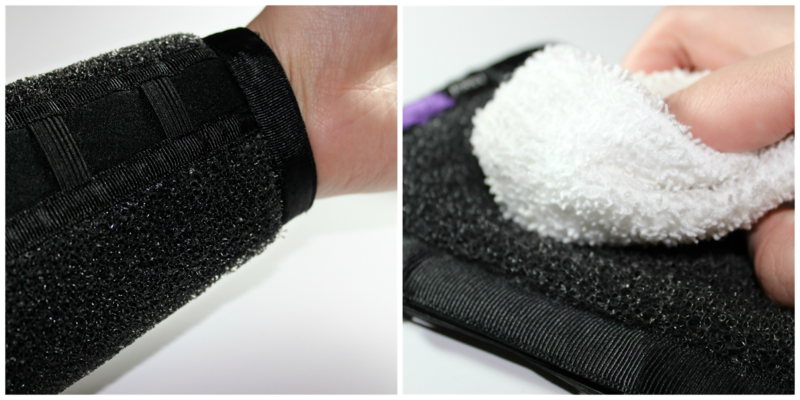 The Color Switch Proband and brush are $34.99 and well worth the money. Vera Mona products make their way into your makeup collection? Tell me in the comments!